DXO is a French company that makes software tools for both consumers and professionals to enhance digital images automatically. DXO Optics Pro is the name of their RAW file developer, and this software comes in two editions: Essential and Elite. The Elite version has some added functionality like Prime Noise reduction, a dehazing function called Clearview, an anti moiré tool and color rendering profiles to match different cameras used in a shoot. Both versions include their acclaimed and large lens correction database for optical corrections and the usual variety of tools you’d find in an RAW editor. The latest version of DXO Optics Pro handles files up to four times faster than previous versions. Their acclaimed PRIME noise reduction has also received an update with improved bokeh protection and better detail retention, particularly in shadows. 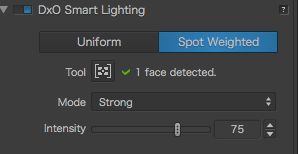 Another favorite tool of mine is DXO’s Smart Lighting tool that now includes face detection and spot weighted metering for a better preservation of overall contrast. Are the improvements worth the upgrade from previous versions? I’ve been a long time DXO Optics Pro user, and I can tell you that if your camera and lens are supported, there is no better RAW developer than this. 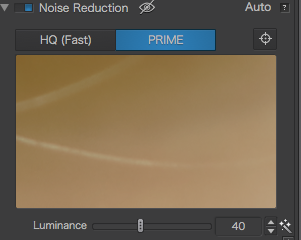 DXO’s Prime noise reduction was already one of the best on the market and with faster processing times and a more intelligent algorithm, it’s even better now. The Smart Lighting module was already very handy to pull perceived exposure of a batch of images to the same level, but in the past, you quickly ended up with a washed-out look when used at higher values. With the inclusion of spot metering together with face detection, this feature works incredibly well now on portraits. The ESSENTIAL and ELITE editions of DxO OpticsPro 11 for Mac and Windows are available in the DxO online store for a discounted price until June 30th, 2016. DxO OpticsPro 11 ESSENTIAL will set you back 83 Euro (instead of 108) and DxO OpticsPro 11 ELITE Edition 125 Euro ( instead of 166). If you’ve purchased a license on or after April 1, 2016, you are entitled to a free upgrade to version 11. The regular upgrade price is 53 EurO. Besides portraits, I would be interested to know whether Smart Lighting gives better results at higher settings on other kinds of images, and how the spot-weighted measurement tool works with a RAW image file that has very wide brightness range. John, think of it like spot metering in camera. You could theoretically point the spot to another place besides a person yes. This is a feature only useful if you’re processing a series of images (say a wedding) and then the spot metering with face recognition would be very useful.